A big, bold and hauntingly beautiful story that captures a defining moment in Australia’s history. When most people see the Sydney Opera House, they think of sails on the harbour. But Kristina Olsson (and her character Axel Lindquist) is reminded of shells you might find on the beaches of Sweden. 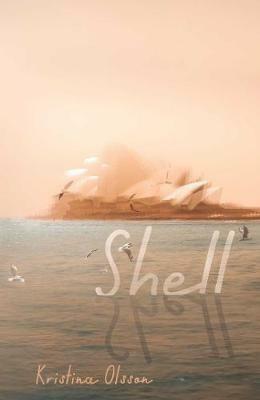 Set in the 1960s, Shell focuses on two seemingly unrelated historical events – the building of the Opera House and the deadly lottery of Vietnam War conscription – and binds them together in two deeply personal stories. Pearl Keogh is a journalist who’s been ‘banished’ to the women’s pages after she was photographed at an anti-war demonstration. Axel Lindquist is a visionary glass blower who’s obsessed with creating a unique piece of art for the Opera House foyer, something that will adequately reflect Jørn Utzon’s masterpiece. Pearl hasn’t seen her family for a number of years, but with conscription looming and her two younger brothers of fighting age, she’s desperate to find them and somehow save them from going to war. Axel has arrived from Sweden to work with Utzon, and through him we witness the outsider’s view of Australia in the ’60s: the tall poppy syndrome, the racism, the banality, but also the simplicity, the honesty, and the hard yakka that people willingly put in to build monumental projects like the Opera House and the Snowy River Scheme. Pearl and Axel’s stories run parallel to each other until they finally meet and connect. It is through this meeting of minds (and bodies) that our two historic events merge and melt into one another. Kristina Olsson is a master of writing about the push-pull of human emotions: regrets, opportunities, beauty, ugliness, humanity, callousness – all are laid bare on the page, but interwoven with enormous beauty and depth. This is a fantastic, thought-provoking read that I expect will be up for any number of awards this season. Gabrielle Williams works as a bookseller at Readings Malvern and is the Grants Officer for the Readings Foundation. She is also the author of books for young adults.